RoomCloud has developed an application for Facebook that allows your customers to enter the booking for the accommodation directly from the Facebook page. In this way you extend the channels in which you can receive direct bookings decreasing costs of commission to be paid to the portals. On your Facebook page, among other applications, the button connected to RoomCloud Booking Engine will be positioned where your facebook friends can make a reservation directly at your Hotel. This is an easy way to fidelize your circle of friends, and have new ones. 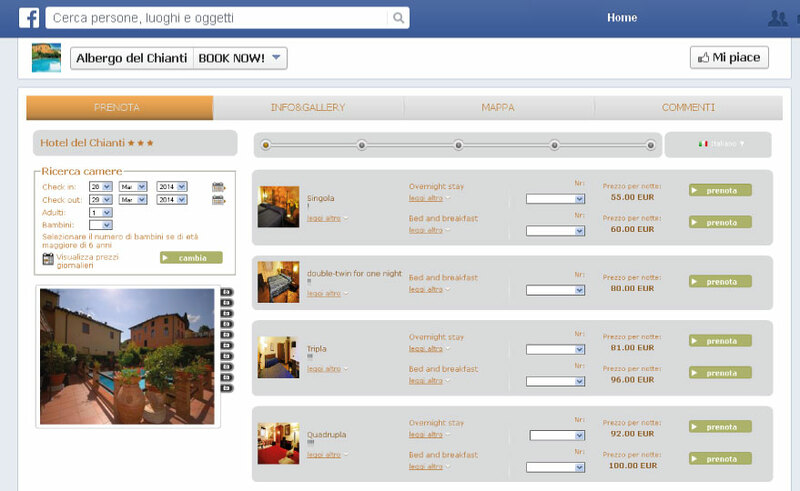 The Facebook integration is added to other forms of direct bookings, excluding the transition from portals. 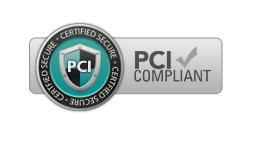 This is a service that RoomCloud offers free to its customers. USE THE FULL POTENTIAL OF FACEBOOK! The following are some important suggestions on how to use your Facebook page in the best way. Through the posts and status updates you will retain existing users and especially leverage their social connections to get more and more people to become fans of the page. Link the positive reviews of TripAdvisor. Publish photos or links to mentions of the Hotel in magazines, newspapers, websites, blogs. Invite fans to leave reviews on TripAdvisor, Yelp, etc.., this must be done in a discreet, natural and appealing way. Ask fans to express their views on matters relating to the Hotel. For example, you can ask their opinion on a new course to be offered in the hotel restaurant menu. Propose specific and exclusive offers to those who follow you on Facebook, through app integrated into the fan page. Generate coupons to offer special discounts. Invite users to share their impressions or leave a review on the Facebook page. Make surveys, these will encourage engagement and are highly valued. Ask fans to post on your wall photos of their holidays. Keep your fans informed on important facts about your location. Example, you can link posts of local newspapers or share the results of the local football team. Post info from other sites and useful services. You may link to sites or Facebook pages of restaurants, shops, clubs, museums, attractions, amusement parks etc..
Post unreleased material as small guides, tips for tourists. Post special recipes of your chef and typical of the region. Publish images containing useful information. Enter a Milestone (milestone symbolizing the achievement of an important objective) with a custom graphic to thank the fans when you reach a certain number of “followers”. Promote a Hotel Photo Contest, it will serve to increase the engagement, stimulate positive opinions and above all increase the number of fans. In addition to this, you’ll get plenty of images that you can reuse (obviously quoting the author of the photo). Photo of festivals and events held at the hotel, where guests can be tagged. Encourage fans to post their photos on your Timeline. Publish a photo taken with the guests in the hotel (always subject to consent) by connecting the offer or who have booked the package. To change the type of content publish also video, the important thing is that they are not too long. Videos can also be recorded with the smartphone, uploaded to YouTube and then shared on Facebook. Be Human, the Facebook page is also the place to show who is in the staff.This is a way to build customer loyalty and lead to a real engagement. Inform fans of the news regarding Hotels (renovations, new services, new dishes on the menu). Please post on Facebook jobs of your hotel and encouraged fans to share it on their wall. Remember that business pages have to follow the rule of 20/80 in the publication of content. This means that you should publish 20% of posts that have a direct promotion of your hotel, while the remaining 80% of the posts should be useful content and post entertaining the fans.